Sorry, the size XL Irish dog collar is now sold out. 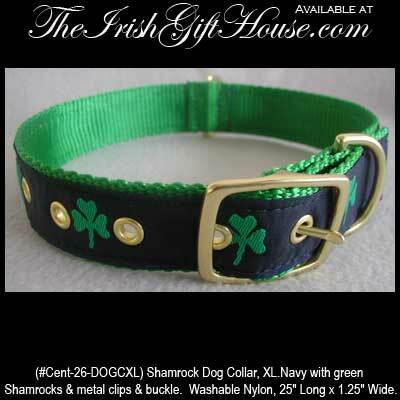 Irish Gifts - Shamrock Dog Collar, Size XL. Washable Nylon, 25" Long x 1.25" Wide.